Construction Materials Online has announced that it will now be known under the name cmostores.com, and will see a new logo introduced for all of its brands. The new cmostores.com logo has been created using graphical elements incorporating the letters ‘CMO’, the former acronym of Construction Materials Online. It depicts a person holding a box to illustrate retail, delivery and service, and was developed in collaboration with branding experts Logo Design. The rebrand will also include new logos for the business’s four specialist websites: roofingsuperstore.co.uk, drainagesuperstore.co.uk, insulationsuperstore.co.uk, and doorsuperstore.co.uk. CEO, Andy Dunkley, said: “Our new brand is an up-to-date visual identity to take us through the next 10 years of helping our customers to deliver projects on time and on budget. 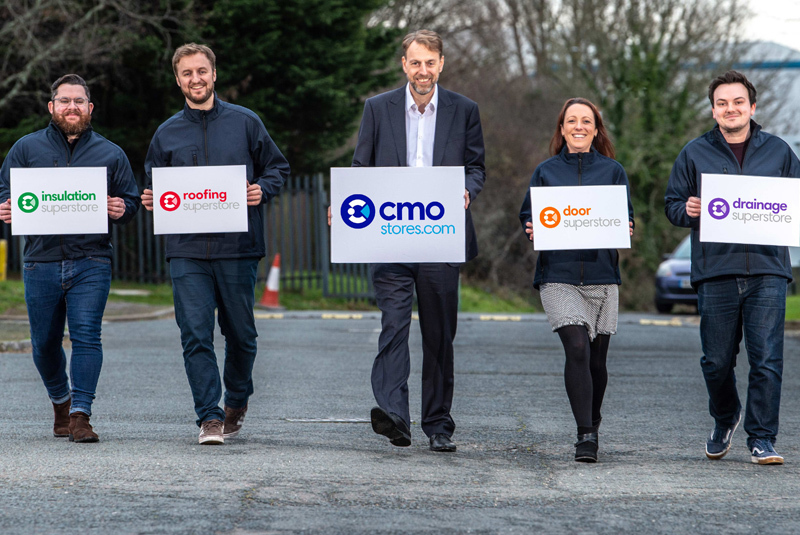 With over 70,000 products available online, cmostores.com aims to offer housebuilders and contractors an easier way of getting supplies to site. Andy continued: “We compete hard on thousands of prices daily. People can order and get fast delivery – all at the touch of a button. cmostores.com has also launched a new trade club which will allow customers to apply for a trade credit account offering exclusive incentives and discounts. A new trade website is also planned for 2019 to provide trade customers with a personalised portal, streamlined ordering, simplified paperwork, speedy quotes and invoicing and a hotline to their account manager. For more information, visit www.cmostores.com .